Bag making machine for Roller plain bag and T-shirt bag, BOPP bags, high speed T-shirt bag .. Recycling waste film, bags .. can save material cost. Ruian Mingde Machinery Co., Ltd. is a professional manufacture of plastic machinery. The main products are two to five layer blown film co-extrusion machine, PE film blowing machine, PP polypropylene blown film machines, printing machine, bag machines and recycling machine. The company has the license to export and import products.Have sold more than 50 different countries, such as: Ukraine, Russia,Poland,Iran,Egypt,Mexico,Argentina, Nigeria,Ethiopia and so on .We have sole agent in Ukraine, Russia, Poland,Iran,Egypt,Ethiopia,Korea. We work on the quality of the first faith-based service of customer focus,production according to the customers requires, highly praised in the world. Known in the world, reliable by the customer. Mingde machinery looking forward to cooperation with you making brilliant future. Ruian Mingde Machinery Co., Ltd. is a professional manufacture of plastic machinery Company. The main products are two to five layer blown film co-extrusion machine, PE film blowing machine, PP polypropylene blown film machines, printing machine, bag making machines and recycling machine. Mingde Machinery have two sets CNC lather to making film blowing machine die head, that can make the film more gloss and uniformity. 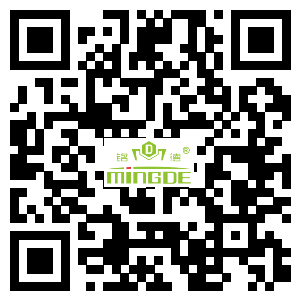 Mingde Machinery have the right of imports and exports.the products have been sold more than 50 different countries. KNOWN IN THE WORLD, RELIABLE BY THE CUSTOMER .